Stockholm Design Week: Welcome to the opening of Young Swedish Design 2019! Come and celeberate the launch of the Young Swedish Design 2019. Discover the most intriguing new designs by Sweden’s young creatives! Ung Svensk Form/Young Swedish Design 2019 presents unique pieces from across a broad range of disciplines, from architecture and fashion to product design and crafts. At 7.00pm, ArkDes’ director Kieran Long and Svensk Form’s CEO Mats Widbom will welcome guests. Sparkling wine from Louis Bouillot will be served and music courtesy of DJ Tommie X. This invitation is non-transferrable and admits you and a friend. Ung Svensk Form / Young Swedish Design 2019 is a co-production by ArkDes and Svensk Form (The Swedish Society of Crafts and Design), with support from IKEA and The City of Malmö. At a press conference in Venice La Biennale, 2nd of March 2018, Yvonne Farrell and Shelley McNamara (Grafton Architects), creative directors, announced that ArkDes, the Swedish Centre for Architecture and Design, will participate in Freespace – the central exhibition of the 2018 Biennale. ArkDes’ national collection will also be present in two additional projects for the 16th Biennale: an exhibition by Swedish architect and academic Elisabeth Hatz, and the inaugural Pavilion of the Holy See curated by Francesco Dal Co. We are also supporting the Nordic Pavilion, which will be led this year by the Museum for Finnish Architecture. More information about the projects will be made available in late May 2018. The 16th Venice Architecture Biennale will run from 26 May 2018 to 25 November 2018 in Venice, Italy. 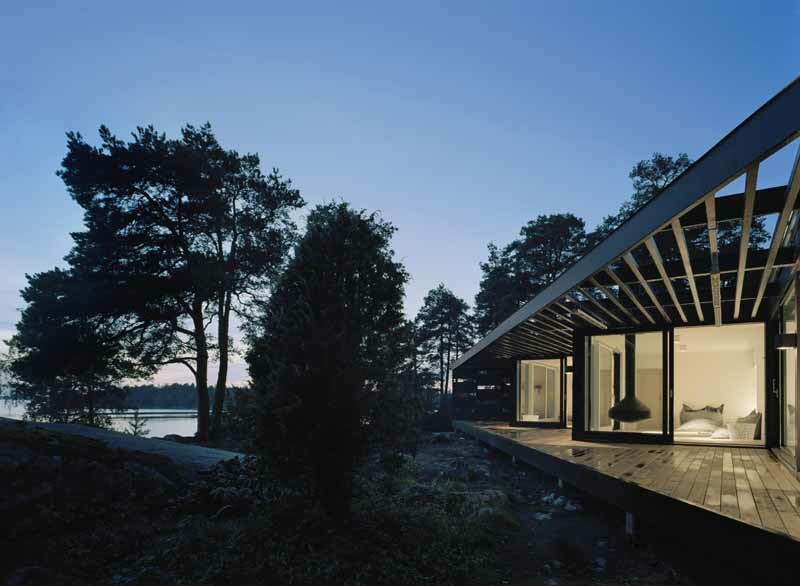 Petra Gipp is an architect based in Stockholm, Sweden, and a member of the Royal Swedish Academy of Fine Arts. Her work seeks to seamlessly blend architectural and sculptural expression, while her approach is one of sensitivity to location, light, and volume. Her most well-known works include the award-winning Kivik Art Centre and the inventor’s studio The Cathedral – the latter of which earned her a nomination for the Mies van der Rohe Prize in 2015. In 2016 she was highlighted by Architizer as one of 26 women in history that changed architecture. Gipp has exhibited widely, and has presented work at the Venice Architecture Biennale in 2012, 2014 and 2016. In 2018 she will open a solo exhibition at Liljevalchs Art Museum where her book about architecture through casted plaster will be launched. Mikael Olsson is an artist living in Stockholm, Sweden, having studied photography at the University of Gothenburg. In his previous work Södrakull Frösakull (Steidl, 2011), he investigated ideas about perception and representation through two architectural works by Bruno Mathsson, one of Sweden’s best-known Modernist designers. 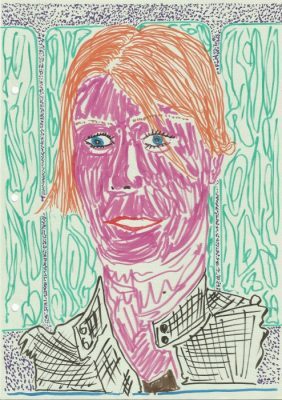 In addition to solo exhibitions—including those at the Hasselblad Center, Gothenburg, Galerie Nordenhake, and the Arthur Ross Gallery at Columbia University, New York City—Olsson is a regular contributor to T Magazine (New York Times). In his forthcoming work on | auf (Steidl, 2018), accompanied with an essay by Péter Nádas, Olsson has undertaken a photographic study of Herzog & de Meuron and the Ai Weiwei’s temporary pavilion at the Serpentine Gallery in London (2012). Olsson also performed in the Palme d’Or winning film The Square, directed by Ruben Östlund. He is represented by Galerie Nordenhake. ArkDes, Sweden’s national museum of architecture and design, has launched a new Fellowship programme offering practitioners, spatial thinkers, and researchers operating in or around the fields of architecture and design opportunities for interdisciplinary research. The first annual Fellowship, which will begin in September 2018 and run until February 2019, is dedicated to the theme of Projecting the Future. It will provide four individuals, partnerships or groups from within the European Union space and resources to conduct exploratory work for a 6 month-long period in Stockholm. An international jury—comprised of Maria Lind (Stockholm), Nikolaus Hirsc (Frankfurt, New York City), Liza Fior (London) and Behzad Khosravi Noori (Stockholm), chaired by ArkDes director Kieran Long—will collectively assess applications following the deadline for applications on March 19, 2018. With the headline exhibition The Future Starts Here opening in 2019, ArkDes will become a centre for future studies. Sweden is an important territory in which to consider future trends; while semi-peripheral, it maintains a global impact on models of social governance and the creative industries. With a General Election around the corner (September 2018), questions surrounding immigration, politics, militarisation, and housing are currently reframing a debate about society and its relationship to the built environment. The application process does not require a stipulated or tangible outcome; we expect any possible result of the programme to develop during the Fellows’ time at ArkDes, and from conversation with our curators, researchers, and guests. We are excited by the unconventional, experimental, contextually rich, and culturally engaged; proposals that can concisely advocate for an original position while, at the same time, offer convincing methodologies for research, communication and dissemination. International Jury: Nikolaus Hirsch, Liza Fior, Behzad Khosravi Noori and Maria Lind (Bernd Krauss). Nikolaus Hirsch is a Frankfurt-based architect, editor and curator. He was the director of Städelschule and Portikus in Frankfurt and currently teaches at Columbia University in New York. His realised projects include the Dresden Synagogue (2001), Hinzert Document Center (2006), Cybermohalla Hub (Delhi, 2008-12), Do We Dream Under The Same Sky (with Rirkrit Tiravanija), Museum of Immortality (Mexico City, 2016) and, currently, the conversion of the National Gallery in Prague. Hirsch curated numerous exhibitions at the Portikus, the Folly project for the Gwangju Biennale (2014), Real DMZ (2015), and “Wohnungsfrage” at HKW Berlin (2015). 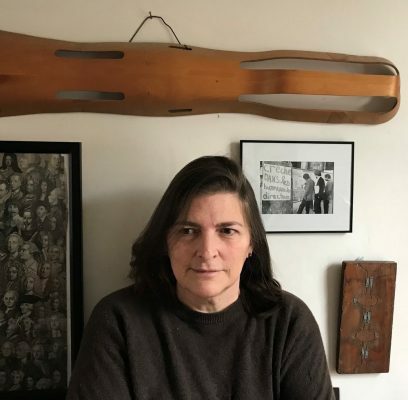 Hirsch is the co-founder and editor of the Critical Spatial Practice series at Sternberg Press and e-flux Architecture. Liza Fior in a partner of muf architecture/art, a London-based practice working in the public realm (including museums). The practice brings unsolicited research into every project, working with those who know a place in order to articulate the value of the existing before moving onto discussions of the future. muf works primarily in East London, but not exclusively so. They are the only UK winners of the European Prize for Public Space (for Barking Town Square), and were the authors of the British Pavilion at the 2010 Venice Architecture Biennale. Fior has taught, lectured and been published internationally. Behzad Khosravi Noori is an artist, writer and educator based in Stockholm. 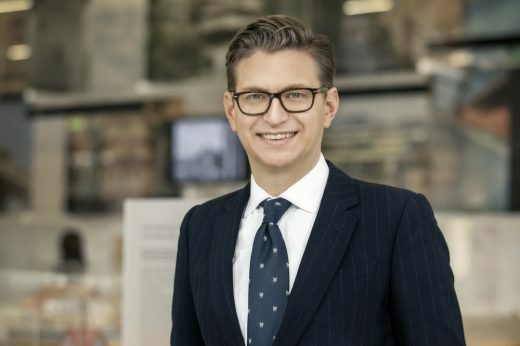 He has lectured widely and led theory and practice seminars about comparative art history (with a focus on microhistory), Islamic arts, as well as research based art practices. 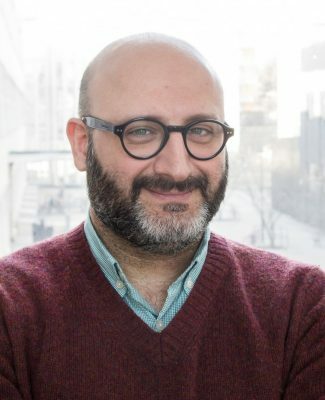 His work has been shown in various national and international exhibitions including Tensta Konsthall, Botkyrka Konsthall, MKC in Stockholm, Sakakini, Ramallah Palestine, the Arran Gallery Tehran, and the research pavilion at 2017 Venice Art Biennale. He is currently a PhD candidate at Konstfack’s Fine Art department in collaboration with the Department of Architecture at KTH Stockholm. Maria Lind is a curator, writer and educator based in Stockholm, and is currently the director of Tensta konsthall. She was the artistic director of the 11th Gwangju Biennale, the director of the graduate program at the Center for Curatorial Studies, Bard College (2008-2010), and director of Iaspis in Stockholm (2005-2007). Between 2002-2004 she was the director of Kunstverein and in 1998, co-curator of Manifesta 2. Lind has taught widely since the early 1990s and is currently professor of artistic research at the Art Academy in Oslo. She has contributed widely to newspapers, magazines, catalogues and other publications. In 2009 Lind was the recipient of the Walter Hopp’s Award for Curatorial Achievement. In 2010 Selected Maria Lind Writing was published by Sternberg Press. Photographer / Source Nikolaus Hirsch, Liza Fior, Behzad Khosravi Noori and Maria Lind (Bernd Krauss). Long graduated from Cardiff University in 1998 with a degree in English literature. Long has undertaken a number of journalism roles, including deputy editor of Icon magazine 2003–2006 and editor in chief of the Architects’ Journal and the Architectural Review 2007–2009. 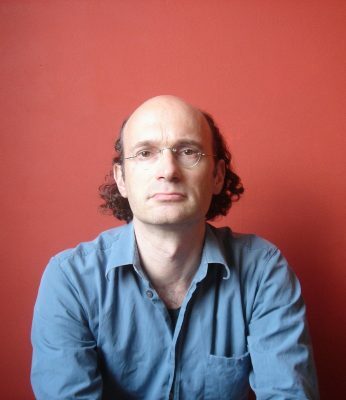 Long was also the architecture critic for the Evening Standard newspaper 2010–2014. His television work includes presenting ‘Restoration Home’ and ‘The House That £100k Built’ for the BBC. Long was assistant director to David Chipperfield at the 2012 Venice Architecture Biennale. He established the department of design, architecture and digital at the Victoria & Albert Museum (V&A) 2013–2014 and was the keeper of the department from 2014 to April 2017. Since 18 April 2017, Long has been the Director of Arkitektur- och designcentrum, The Swedish Center for Architecture and Design, in Stockholm. Wednesday 7 February at 7 – 10pm. ArkDes, Exercisplan 4, Skeppsholmen. Discover the most intriguing new designs by Sweden’s young creatives! Ung Svensk Form/Young Swedish Design 2018 presents unique pieces from across a broad range of disciplines, from product design to craft. At 7.30pm, ArkDes’ director Kieran Long and Svensk Form’s CEO Mats Widbom will welcome guests. We will be serving French wine from Chateau Vignelaure, owned by Mette Rode Sundström and Bengt Sundström, the couple behind Lauritz.com and music courtesy of DJ Bea Szenfeld. 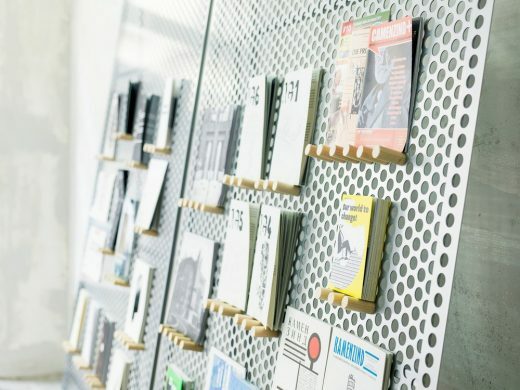 There is a revolution underway in architecture and design publishing, that is giving a voice to independent editors and critics as never before. ArkDes dives into this debate with the help of guest curator Agnes Gidenstam and Naima Callenberg of Studio Nock, staging an exhibition in the library. Participants include 2ha, 4ARK, Accattone, ANZA, Architektur in Gebrauch, Bricks from the Kiln, and Camenzind. A related major symposium on contemporary architecture and design publishing takes place on 16 November. Discover the HI-group: masters of craft, furniture and interior design from the 1960s. The HI-group – Craftsmanship in the Plastic Age is an exhibition of 30 objects, from furniture to photography, that tells a story of the renaissance of craft in an era more associated with modern, industrialised materials. A comprehensive collections-based exhibition, a major international production, and an exhibition that sets the tone for ArkDes’ new direction – ArkDes’ 2018-2021 exhibition programme is here. 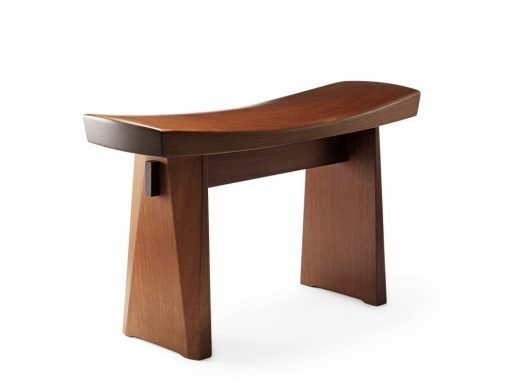 For the first time since the 1960s, furniture produced by the craft collective known as the HI Group is being gathered together in an exhibition. The now almost mystical group attracted considerable attention during the period of a little over a decade in which it was active. 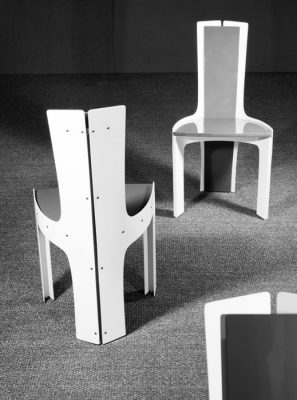 Now ArkDes, The Swedish Centre for Architecture and Design, is telling the forgotten story of a few designers who decided to swim against the prevailing current of mass-produced furniture in the 1960s. In addition to archive and photographic material from ArkDes’ own collections, the exhibition, HI-gruppen – hantverk i plaståldern/The HI Group – handicraft in the plastic age also contains unique hand-made pieces and prototypes. 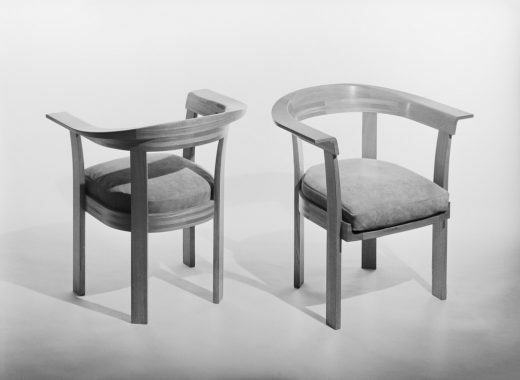 The HI Group, which was formed in the 1960, consisted not only of designers like Åke Axelsson, Hans Johansson and John Kandell, but also master craftsmen and interior designers. The aim of this combination was to bring together interior designers and furniture designers at an early stage of the creative process in order to create an opportunity to experiment without having to worry about the demands of industry. It was also a place where prototypes for industrial manufacture could be produced. 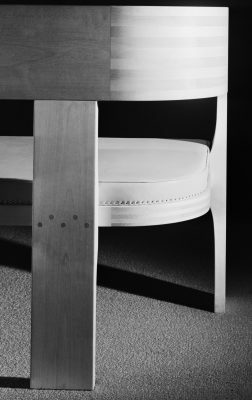 At the same time, the initiative was a reaction at a time the production of crafted furniture was dominated by Danes. The underlying message was that this was something that Swedes could also do. To mark the opening of the exhibition, the book HI-gruppen och hantverkets återkomst/The HI-group and the Return to Craft is being released as part of a collaboration with the publishing firm, Carlsson. The book was written by Johan Örn, curator of collections at ArkDes, and it also provides the basis for the exhibition. ”The HI Group strove to re-invigorate the art of furniture design in Sweden and to put handicraft back at the centre. The collections at ArkDes contain unique images of the HI Group’s pieces taken by Sune Sundahl, and these will be included in the exhibition,” says Johan Örn, curator of collections at ArkDes. The initiative to form the group was taken by the interior designer, Stig Lönngren. 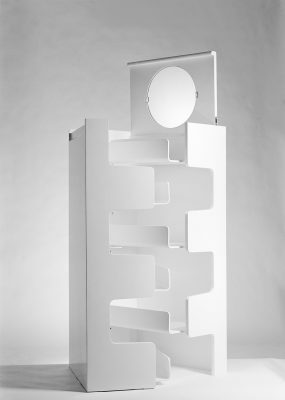 At its height, it consisted of sixteen members: the interior designers Åke Axelsson, Hans Johansson, John Kandell, Erik Karlström, Hans Kempe, Thea Leonhard, Lars-Erik Ljunglöf, Stig Lönngren and Stig Åke Nordell, the master cabinet-makers Anders Berglund, Lars Larsson, Erik Lindgren and David Sjölinder, and the master upholsterers Gösta Engström and Åke Nilsson. Holger Johansson was the group’s master sheet-metal worker. Exhibition period: 13 September – 19 November 2017. With an emphasis on learning, sharing and provoking debate about the practical and theoretical role of design and architecture in contemporary life, the Centre exists to illustrate and offer an active platform for architecture, design and sustainable urban development, as well as to care for, list, scientifically process and enhance, through new acquisitions, the collections entrusted to it.